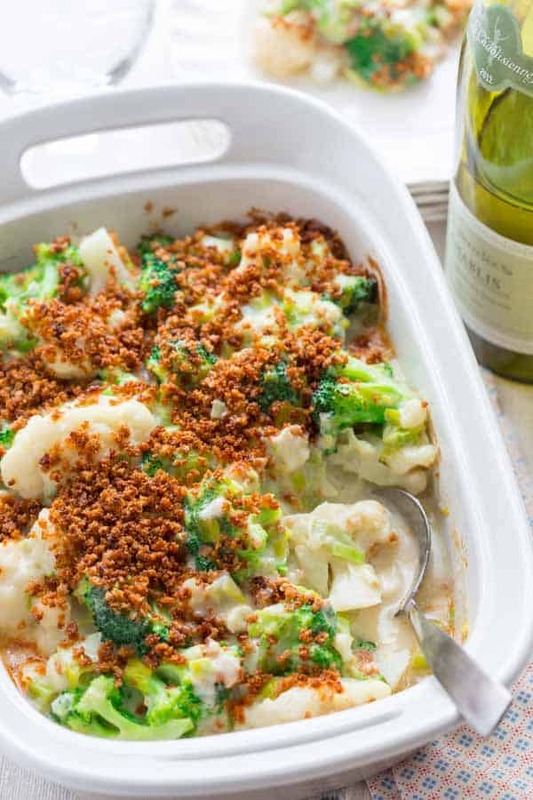 This make-ahead broccoli and cauliflower casserole has delicious creamy cheddar leek sauce and crunchy panko breadcrumb topping. It can be prepared a day ahead or you can make it and serve it right away. This has a lactose-free option as well. At some point during the next six weeks, there is a distinct possibility that you and I will both be faced with the need for a covered dish. There are family celebrations, Friendsgivings, Thanksgiving, Hanukkah, Kwanzaa, Christmas and New Year’s. So much cooking, eating, and partying to do, not enough time! 1. The food has to hold well while traveling. 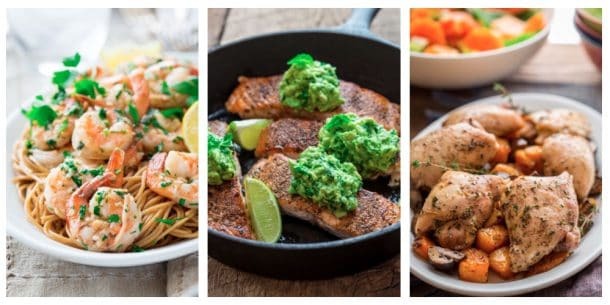 In the food styling world, there is a term “the food died,” which is when it took too long to get a photograph, and the food no longer looks good. It looks pretty for only so long and then it wilts or turns army fatigue brownish green. So when I am looking for a good dish to bring along with me, it can’t die in transit. It has to be just as perfect when I walk in the door to the festivities. 2. The recipe has to be healthy. Because duh. That’s my first name. And selfishly I worry that there will only be super duper rich unhealthy choices that will land me on the couch with a belly ache. So I like to bring something that is healthy that I know I want to eat. And all the better if there isn’t any lactose lurking in it. 3. It has to taste awesome or why bother bringing it because nobody will eat it if it doesn’t. 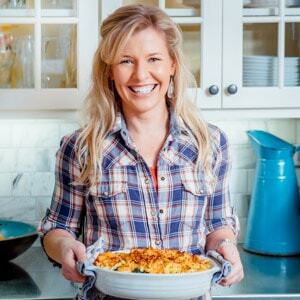 Enter: this healthy broccoli casserole that’s both creamy and cheesy! It is made in two steps and you can wait a full day before the second step. So you can bring the chilled dish with you and then bake it on site. The cheddar leek cheese sauce in this make ahead vegetable casserole is really delicious and creamy. It is on the thick side when you are done making it in the saucepan, but the cauliflower and broccoli let off extra liquid as they bake with the sauce so the sauce thins out perfectly by the time it is all done. I used Organic Valley Lactose Free milk and Cabot Alpine Cheddar (which is lactose free) to make mine since I am lactose intolerant. But you can use regular milk to make it, and whichever type of cheese you want. I recommend using a very sharp cheddar for the best flavor. Why the flour? The flour in the sauce thickens it and makes it so that the cheese melts in smoothly. Without it (or an alternative starch) the cheese would become clumpy and would look curdled or would “break.” This way the sauce coats the vegetables much better with this thickener. The step of cooking the vegetables and then shocking it in ice water is important so that it doesn’t keep cooking when it is mixed with the cheese sauce. Otherwize it would become more watery, sulfuric and would turn the above mentioned army green color we’re trying to avoid. 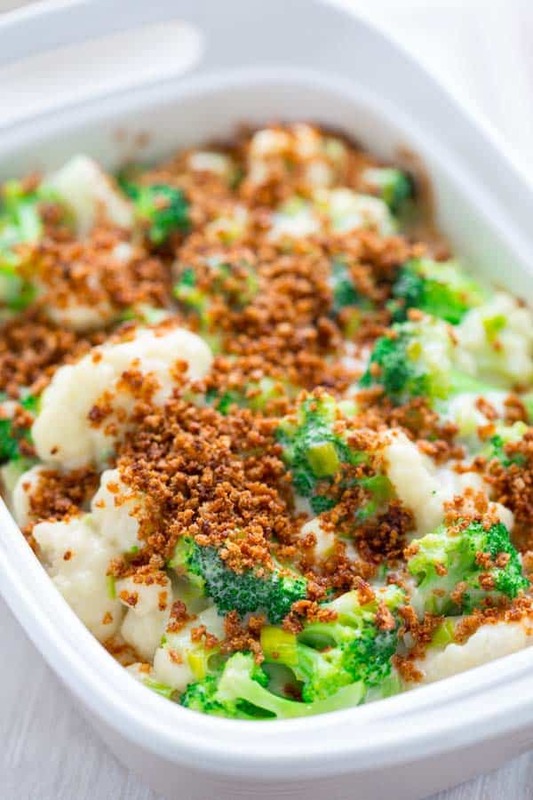 This healthy broccoli and cauliflower casserole can easily be prepped in advance and cooked just before you plan on serving it. To make this casserole ahead of time, you’ll need to make the cheese sauce and blanch the veggies, then combine everything in a large casserole dish. Cover the casserole in foil and refrigerate up to 24 hours in advance. When you’re ready to enjoy this broccoli and cauliflower casserole, simply preheat the oven and bake the casserole covered for 25 minutes. Remove foil and continue with topping with the breadcrumb mixture and baking as directed in the last step of this recipe. Do you have any parties or meals you’re traveling to? 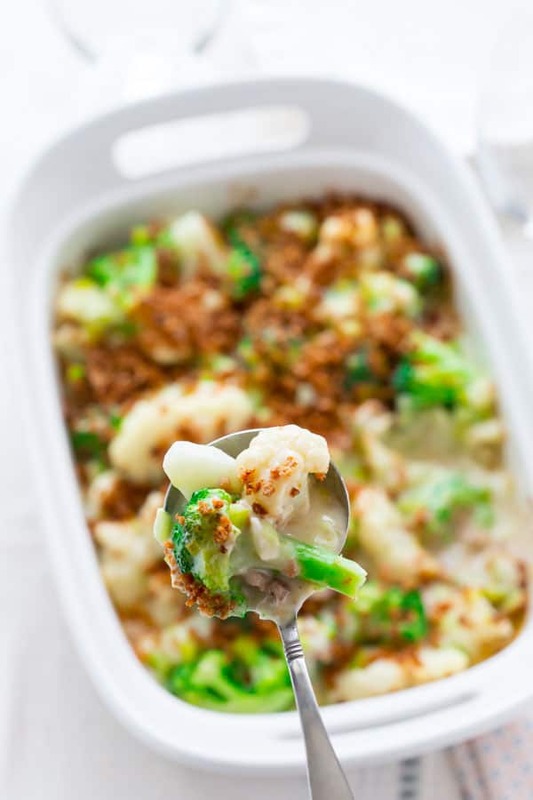 This make-ahead broccoli and cauliflower casserole is a healthy and delicious option for a covered dish for the holidays. 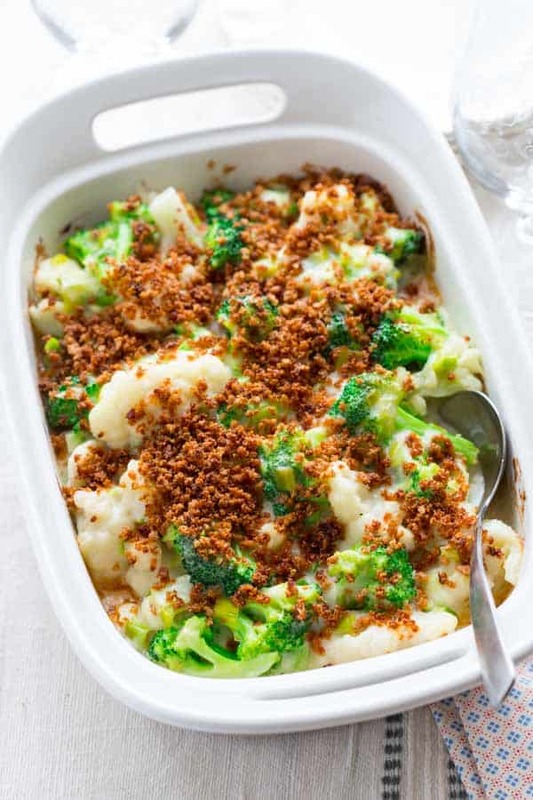 The cauliflower and broccoli are coated in a creamy leek cheddar sauce and topped with crunchy panko breadcrumb topping. Bring a large pot of salted water to a boil. Set a large bowl of ice water to the side. Core cauliflower and cut into medium florets. Cut off broccoli stems and cut into florets. Blanch cauliflower 3 minutes in boiling water. Remove from the water with a slotted spoon or small strainer and transfer immediately to the ice bath to stop it from cooking. Repeat with the broccoli, cooking for 3 minutes, and shocking in the ice bath. Drain the vegetables very well. Reserve bowl for mixing in step 4. Prepare cheese sauce. Heat 2 tablespoons oil in a large saucepan over medium-high heat. Add leek and ¾ teaspoon salt and cook, stirring often until the leek is soft, 4 to 5 minutes. Sprinkle the flour over the leek and stir to coat. Add milk and bring to a simmer, over high heat, stirring constantly. Cook until bubbling and thickened, 1 to 2 minutes longer. Remove from heat and stir in cheese and pepper until the cheese is completely melted into the sauce. Preheat oven to 350 degrees F. Coat a 2 ½ quart baking dish with cooking spray. Stir panko, the remaining 1 teaspoon oil, paprika and garlic powder in a small dish until evenly moist. Mix the vegetables and cheese sauce together in the reserved bowl. Transfer to the prepared baking dish. Top with the panko mixture. Bake until the casserole is hot all the way through, the sauce is bubbling and the vegetables are tender, 28 to 35 minutes. Let cool 15 minutes before serving. TO MAKE AHEAD: Prepare through step 4 (do not pre-heat oven in step 4.) Cover casserole in foil and refrigerate up to 24 hours in advance. Preheat oven, and bake casserole covered for 25 minutes. Remove foil and continue with topping with the breadcrumb mixture and baking as directed in step 5. DISCLOSURE: I am a member of the Cabot Creamery Coop Cheese board, which means I receive free samples of cheese and coupons now and then. I was not asked to write this post by Cabot, nor was I compensated by them to do so. I just happen to think their Cabot Alpine is totally dope that’s why I mentioned it. Yes to a covered dish that’s not based on a can of cream of mushroom soup. Adding this one to the repertoire! So glad you approve and that it’s a keeper for you as well. Love your use of leeks in this recipe. The leeks really give the sauce so much flavor. Glad you approve too! Love this twist on broccoli casserole! I am super impressed with how bright green the broccoli is even after cooking! Blanching is the best trick! Totally! Blanching is keeeeey to the pretty color. Love the color palette of the dish, the white and green with flecks of panko looks really inviting. Thank you so much! Have a fantastic day. I love the Cabot alpine cheddar cheese! It’s such a great choice with this delicious looking casserole. Growing up my favorite veggie side dish was broccoli and cauliflower so I would be all over this! Wow, there are not a lot of people who can say they loved cauliflower and broccoli growing up! I was browsing through foodgawker to gather recipes for my TG menu and when I found this I stopped looking for another veggie side. Putting something healthy on the table makes my tail wag and this recipe will make my guest’s ears wiggle! That is so great to hear Diane! Hah, I agree with you, Katie – too much eating, too little time! I love that you created a vegetable-centric dish because vegetables are often overlooked during my holiday celebrations. Beautiful dish, Katie! I always want to make ALL the vegetables! They are the best aren’t they? I could totally eat this as my main meal. There is nothing I would change about this! That’s so great to hear Jennifer! This is a perfect side for the holidays! Love that it’s a make ahead option!